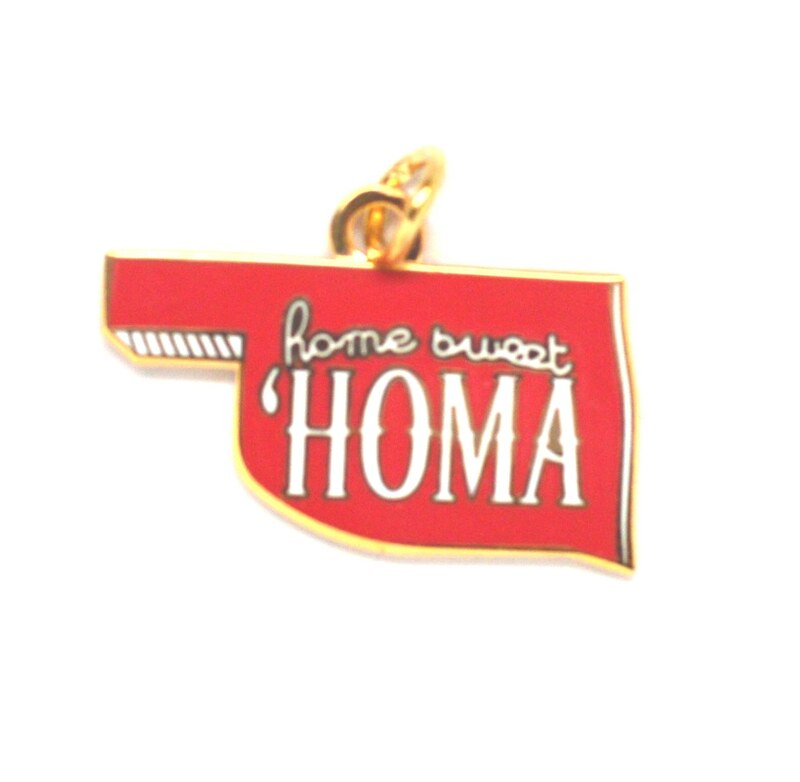 Red OK Shape Charm inscribed with White “Home Sweet Home” in Gold metal finish with butterfly attachment. 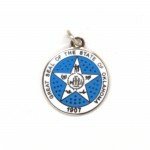 Size: 1 inch. SKU: CH OK06. 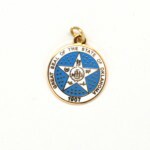 Category: Oklahoma Charms.